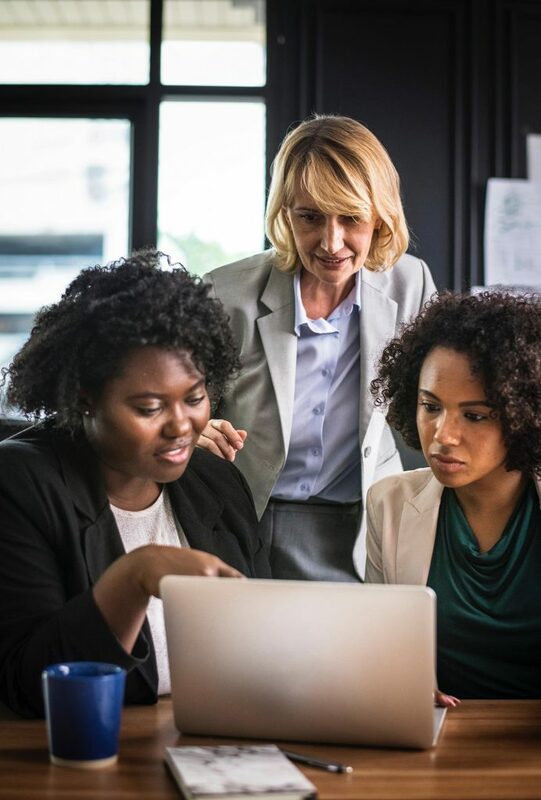 How Does The TM technique Help Women Professionals? ​​Women who can think clearly, remain focused under pressure, and perform efficiently at work have an edge over people who cannot. Both personal experience and worldwide published research conducted in business and industry show that the Transcendental Meditation technique gives us broader comprehension along with the ability to focus sharply. Improved conceptual thinking, greater orderliness of thinking, and successful decision-making result from the enhanced performance of the brain during the TM technique. Increased energy, faster recovery from stress and reduced absenteeism are also results of regular practice of the Transcendental Meditation technique. TM is an effortless self-improvement technique that allows your mind to settle inward, beyond thinking, to experience pure awareness—the most silent and peaceful level of the mind, your innermost Self. Business is hectic– there is never enough time to do everything on the list, and it’s always a challenge to balance work and home. Yet I’ve helped to build several companies and maintained a wonderful family life. I’m convinced my Transcendental Meditation practice is responsible for so much of that. Carole Couture has held senior management positions—including president, CEO, COO, EVP—at a host of leading companies including Brooks Brothers, Sur La Table and Federated Department Stores. 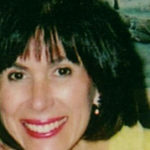 A multichannel retailer, Carole works with stores, catalogs and eCommerce. She helped build the first online gift registry website for Modern Bride and designed a line of home textiles that she manufactured in India and sold through retailers including Bloomingdales and Crate and Barrel. Last year, Carole launched the museum stores and websites for the Museum at Bethel Woods and for the Intrepid Sea, Air & Space Museum in New York City. I took the Transcendental Meditation course in 1974 I was the last in my family to learn. Shortly after they started the TM technique, my mother stopped using tranquilizers, my brother took a giant leap in confidence and transferred to a top university, and my father lost his work-related stress and looked years younger. As an independent high achiever, I thought I didn’t need to meditate. But my family urged me to learn, and soon after I was instructed, things changed. My drive remained high but my self-imposed pressure disappeared. Lifelong allergies went away, the ‘teenage’ skin problems still with me in adulthood disappeared, and my sleep improved. I felt a lot of happiness. No matter what life threw at me, I maintained a calm core of strength and joy. I forgot how to worry. I credit the TM program with a life full of good things. Despite earlier concerns I’d had about motherhood, I found that mothering was conscious, aware, and sweet. In my work life, I’ve been able gracefully to take on more with each new position. In 2001, at an age when many women think about retiring, I co-founded a publishing company that quickly became an industry leader, with dozens of awards and customers worldwide. I feel half my age and am free of physical ailments. I work hard, travel the world, enjoy opera, theater, and hobbies, maintain nurturing friendships, and am blissfully married. With the TM technique, time is more productive, so there is more of it. Amazing! I want every woman to learn this meditation technique. You will get much more than you can imagine, and I promise that you’ll be sharing your own testimonial in very short order. 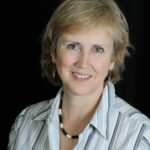 Eileen Lawrence is Vice President of Sales and Marketing at Alexander Street Press, which she co-founded in 2000 (http://alexanderstreet.com). In less than nine years, the company has become a leader in the field of scholarly online publishing for universities and libraries. It has been the recipient of dozens of industry awards and top reviews. The company has customers in more than forty countries and offices in the U.S., Brazil, Australia, New Zealand, and the United Kingdom. 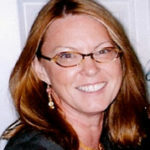 Eileen holds a Bachelor of Arts degree in psychology from the University of Pennsylvania and a Master of Education from Antioch in New England. Until 1980, she taught in rural New England, in a self-created kindergarten that became a model classroom and training site for universities and school districts in the region. She also served as a consultant and adjunct faculty member for various programs, including Head Start, University of New Hampshire, and Dartmouth College. Working in an intensely dynamic operations environment is inherently challenging. My daily TM program gives me the clarity of mind to process, in a healthy even manner, the lively business hum that often times surrounds me. I’m able to filter out the ‘noise’ and zoom in on the critical factors needed to consistently make good decisions or judgment calls. I maintain inner stillness even when everyone around me, and the given circumstances, seem to be chaotic. Since I finished my TM instruction, I find that things get organized by me and for me in an effortless way. For example, there have been instances when I’m working on a project and the step-by-step “how to factor” is clearly not there. And then right on time the answer comes in the form of a phone call or an encounter, or the right talent appears with exactly the skill set needed to help me complete the project. These moments have been met with a smile and humbling gratitude. My meditation practice also has allowed me to renew and maintain my energy daily, providing the stamina I need to address operational issues at work or personal family matters. Jannette Gordon is Vice President and Section Manager of Citigroup Global Transaction Services for North America. Currently based in Tampa, Florida, Ms. Gordon previously lived in New York, where she held managerial positions at Citi and with other financial services firms. She has more than 23 years of securities experience. Ms. Gordon has been practicing the TM technique since 1979. The team will be waiting for me to lead that big meeting in Houston. Then next week it’s Calgary for the senior leadership presentation. San Francisco is the week after that, with a teaching agenda. But before all of that begins, it’s time for my TM technique. In the early morning hours, before my brain has gotten caught up in the bustle of business and busy-ness, I dive into that stillness, into that field of all possibilities, to recharge my mental and physical awareness, and most of all, to remember who I am. Being engaged in the business world can be draining and disorienting, but with the TM program as my touchstone, I have flourished with focus and clarity in a crazy environment. At the end of the day, when all the presentations are made and all the decisions settled, I will once again return during TM practice to myself and know that my success is defined not by the handshakes and agreements, but by the quiet stillness that hums in my heart and keeps my spirit singing. Jennifer Meyer has worked in strategy consulting and executive education for more than 12 years. In her role with a niche consulting firm based out of Palo Alto, CA, she has led strategy teams for fortune 500 companies in oil and gas, transportation, manufacturing, technology, telecommunications, power, and more. She also teaches in a professional certificate program in decision-making at Stanford University, and leads executive training for clients across the country. After receiving her Ph.D. from Stanford in operations research and decision analysis, she taught in academia for eight years. 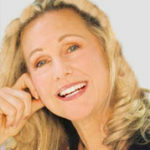 She began her practice of the TM technique in 1992 and has seen the power of its positive influence in both her personal and professional life ever since. For me, the simple secret to having a fulfilling day is to be able to set out each morning feeling settled, dynamic and happy. Once this condition is established, everything naturally flows and gets done without effort–the day unfolds like a string of little miracles. This is the benefit I receive daily from Transcendental Meditation practice. The TM technique rejuvenates and energizes my whole physiology, reduces my stress and leaves me with an ongoing feeling of well-being. The challenges of daily life are always there for me, yet what better way to face them than from a seat of pure personal joy. For me it is all about feeling rested and mentally clear all day long. I wish everyone would learn this technique. I am so grateful to have access to this knowledge that has transformed my life. The demands are enormous in my business arena: developing food products, managing employees and a factory, and being the public spokesperson for the company. Before I learned to meditate such demands seemed like insurmountable problems, but now they are experienced as exciting and challenging situations. The increased creativity that results from the Transcendental Meditation program makes the difference between struggling with business and enjoying business. My work therefore has become my play so I really love what I do. My meditation recharges my batteries, keeps me feeling young, healthy, and optimistic. The TM technique genuinely delivers the goods. Joanne Hollander is founder and President of SoYummi Foods Inc, a maker of soy based desserts sold through out North America. Her foods are designed for children and adults suffering from allergies, lactose intolerance and celiac disease. SoYummi is also popular with consumers who want to improve their eating habits with high quality, healthy, great tasting snacks. SoYummi was the 2003 winner of the Canadian Council of Grocery Distributors Grand Prix New Product Award in the Bakery and Dessert category. My work environment is very hectic, and there are a million things that are always going on at any given time. In the past, I found I could get very caught up in that madness. If you have twenty things going on in your head and there’s no way to organize that, it feels very frenetic, and I spent a lot of energy for a very little bit of output. There were many people within the Tower Companies who had been doing the TM technique for a long time and were very positive about their experiences, so I decided to try it. What I really needed was a way to come back into myself, quiet my mind a little bit so that I could focus. TM practice settles me down and helps me be more organized. There’s a famous business phrase ‘Work smarter not harder.’ I think that is really what the Transcendental Meditation program has done for me. I would say that arranging a TM course for your employees is probably the fastest, easiest, and least expensive way of getting more out of your workers than you could ever imagine. 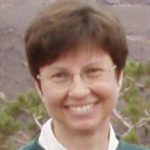 Marnie Abramson is the President of Green Lumens Mid-Atlantic, LLC. Previously she was a principal of The Tower Companies, the largest green real estate developer in the Washington DC area. 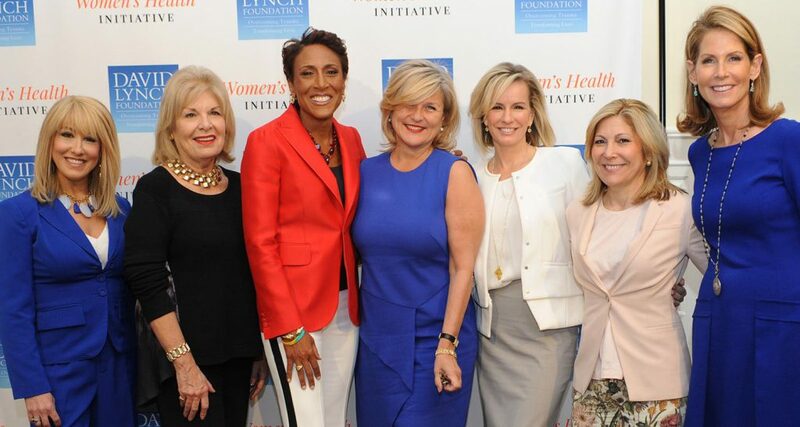 In 2008, Ms. Abramson received the prestigious Women Who Mean Business award from the Washington Business Journal and was named one of the 35 most influential people under 35 by the DC publication Bisnow Real Estate. With a background in investment banking, a BA in communications, and an MBA in finance, Ms. Abramson focuses specifically on the costs and benefits of green buildings. 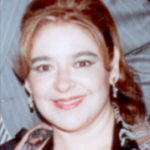 She is an active public speaker, educating businesses, brokers, government groups, and others about eco-progressive real estate. 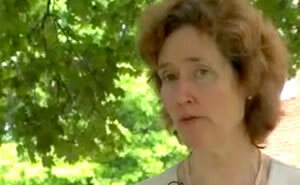 She participates in local, national, and international expert panels, and has provided public testimony for green building legislation in Maryland and the District of Columbia. I learned to meditate at age 17. From the first day, I noticed tangible benefits—greater inner silence, calmness, focus, improved clarity and intuition, broader comprehension. Today I enjoy these same values to an even greater extent while balancing family life with running a growing management consulting practice, teaching at a university, executive coaching, and public speaking. In 2012 I completed doctoral research on leadership resilience, exploring the development of cognitive capacity in leaders to improve executive judgment and decision making under stress. My study explored the impact of the TM technique on situation awareness capacity of emerging leaders at Norwich University in Vermont. The study showed that those who practiced the TM technique had statistically significant improvement. These findings are being applied in the development of resilience programs that incorporate the use of the TM program to improve situation awareness capacity in professionals (nurses, doctors, emergency medical responders, law enforcement, military) who are operating in high demand settings. Adding the TM practice twice a day to my daily routine continues to result in greater resilience to stress and more inner and outer fulfillment. 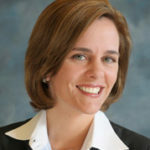 Martha Batorski, EdD, a former Associate Partner with Accenture’s Business Architecture practice, is currently CEO of Batorski Stevens & Associates, Inc., a nationally recognized management consulting firm launched in 2003. In 2004 her firm was the winner of the Emerging Business of the Year Award from the National Association of Women Business Owners (NAWBO). She has helped over 15 Fortune 1000 companies with large-scale, enterprise-wide improvement initiatives resulting in high performance. She has consulted for 25 years across multiple industry sectors including government, electronics and high tech, healthcare, utilities, entertainment, retail, and financial services. Inspired by her experience with the Transcendental Meditation program, she completed a doctorate in Organization Change at Pepperdine University, focusing on the role of development of consciousness (situation awareness capacity) in executive decision making under uncertainty and stress. 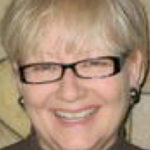 Dr. Batorski serves as Adjunct Faculty in the MBA program at Roseman University of Health Sciences, Las Vegas, NV. She is also a keynote speaker in the areas of executive judgment and decision making under stress and women in leadership. TM restores cellular physiology, awakens the main organizers of the body and ensures order and correct functioning of cells. The practical implication of this mechanism is to lower arterial pressure, reduce glucose and lipid levels, decrease cardiovascular risks and death from cardiovascular problems. Dr. Lourdes Garcia Mollinedo graduated as a cardiologist from the Cardiology Hospital of the National Medical Center Siglo XXI in Mexico City. Dr. Garcia has post-graduate degrees in Critical Care of Coronary Patients from University Hospital in Edmonton, Canada and in Cardiovascular Clinical Research from the University of Amarillo, Texas. She has a Master’s in Business Administration and Studies in Strategic Healthcare Planning. Dr. Garcia is an expert in Disease Management, Health Management and Health Economics and has ample experience in Healthcare Strategies in both the private and public sectors. Its a miracle, because I can meditate. Now, I am a type AAAAAAA personality. I make Soledad (O’Brien) look hypothyroid. I’m the best thing that ever happened to TM because if I can do it, anybody can do it. 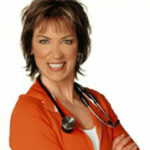 Dr. Peeke is a NY Times bestselling author, an internationally recognized expert, physician, scientist and author in the fields of nutrition, stress, fitness and public health, Chief Medical Correspondent for Discovery Health TV, Dr. Peeke is featured on the award winning National Body Challenge series and is the host of the Could You Survive? I’ve been a psychiatrist in private practice for nearly 25 years, and I am so pleased to be able to recommend the Transcendental Meditation course to my patients. The gains I’ve seen in my patients who practice the TM technique include increases in emotional stability, intuition, self-confidence, and mind-body integration. For women especially, this results in greater flexibility in handling busy schedules and the sometimes conflicting demands of career, motherhood, and self-care. As a therapist, I feel fortunate that such a powerful yet easy technique is available to my patients. Dr. Frankel graduated from the University of Washington School of Medicine and completed her residency in psychiatry at UC San Diego in 1985. She completed the psychoanalytic psychotherapy program at the San Diego Psychoanalytic Institute in 1993 and is certified by the American Board of Psychiatry and Neurology. 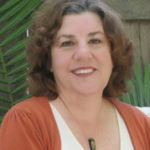 She has been in private practice in the San Diego area since 1985, where she is on the clinical faculty of UC San Diego’s department of psychiatry. By 2017, health-care spending in the United States is projected to reach just over $4.3 trillion and comprise 20 percent of the GDP. Spiraling health-care costs are threatening the health and financial well-being of individuals, institutions, and the government. The only permanent solution to the health-care crisis is to prevent disease from happening in the first place. The TM technique has been shown to be the most effective wellness program for promoting health and reducing health-care utilization and medical expenses. Research shows that the TM technique also strengthens health by decreasing the use of tobacco, alcohol, and non-prescription drugs—behavioral correlates of chronic stress and result in millions of dollars in health-care expenditures each year. 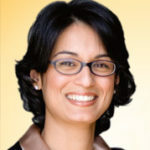 Kulreet Chaudhary, M.D., graduated from Loma Linda University Medical School with Alpha Omega Alpha honors and completed her neurology residency at the University of California, San Diego. 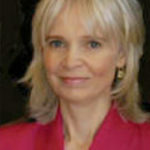 She is currently the medical director of Wellspring Neurology at Scripps Memorial Hospital. Dr. Chaudhary also serves on the board of directors of the Center for Neurologic Study in La Jolla, California. Stress is a major component of many skin diseases. Acne, eczema, psoriasis, and many other chronic skin conditions can either be caused or aggravated by stress. In addition, aging of the skin can be influenced by many stress-related environmental factors, including smoking, poor diet, and unhealthy lifestyle. Stress impairs the immune system, making dermatologic patients more susceptible to bacterial, fungal, and viral skin infections, as well as to skin cancer. The Transcendental Meditation practice is one of the best I know for reducing stress. As a doctor, I have been recommending the TM course to my patients for the past 25 years. I myself have been practicing it for 38 years and have found it invaluable. Not only does my own practice of the TM technique help relieve personal stress and fatigue, but it also gives me greater energy to accomplish more in my life. Furthermore, the Transcendental Meditation program has greatly increased my own sense of happiness and well-being. 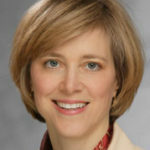 Margaret K. Sparks, M.D. received her medical degree from the University of Louisville School of Medicine. She completed her residency in internal medicine at the University Hospital, Louisville, Kentucky and her residency in dermatology at Washington Hospital in Washington, D.C. She has been board-certified in dermatology since 1988. Dr. Sparks has participated in research at the Washington Hospital Center and at the University of Louisville and has published papers in Federation Proceedings, Cancer Research, and Archives of Dermatology. She has staff membership at Watauga Medical Center, Boone, NC, and Baptist Hospital East, Louisville, KY. She is a Member of the American Academy of Dermatology, the North Carolina Medical Society, the Kentucky Medical Society, and the Greater Louisville Medical Society. She is currently in private practice in the Louisville area. “Stress is a trigger for, and major contributor to, common menopausal symptoms such as hot flashes and sleep problems. The Transcendental Meditation program has been shown to reduce anxiety twice as effectively as other relaxation and meditation techniques and is highly effective at reducing stress. Practice of the TM technique for twenty minutes twice a day has been shown to lower cortisol (a stress hormone), improve sleep and lift mood. According to some researchers, curbing excess cortisol production might also support the body’s production of helpful reproductive hormones such as progesterone. I have had fifteen years experience as a board certified obstetrician and gynecologist in private practice in Washington, DC. Both personally as a woman, and professionally as a physician, I have found that the reduction of stress and deep relaxation during TM practice benefits all women. This is true for the pregnant woman who is juggling the physical demands of pregnancy, the laboring patient who benefits from the increased stamina and greater cardiovascular efficiency produced by TM practice, the career woman balancing her constant work with family and home demands, or the postmenopausal woman adjusting to her new and everchanging physiology. The scientific research on the TM program is impressive across a broad spectrum of benefits, including overall better health, normalization of blood pressure, and decreased insomnia, all of which contribute to more balanced health and psychology for women. Recommending the TM course has been a valuable adjunct to my private practice. Rebecca Beuchert, M.D., received her doctorate in medicine from the University of Louisville School of Medicine. 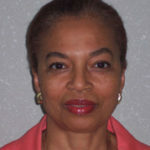 She has been board certified in OB/GYN since completing her residency at Washington Hospital Center in Washington, DC. Until her retirement, Dr. Beuchart maintained a private practice in downtown DC, focusing in obstetrics, gynecological surgery, and full-service primary care for women of all ages. Inner fullness is the basis of outer achievement. During the TM technique, the mind experiences a field of peace and happiness – its own deepest nature. This carries over into daily life, bringing inner confidence, stability, and joyfulness along with the ability to be more spontaneous, tolerant, and intimate with others. Meditating after work helps you recover from the stress of the day so that you can truly enjoy your personal life each evening. Working mothers report that the increased creativity and efficiency from daily TM practice help them find the extra energy and capacity to meet the needs of a family. Medical experts and researchers agree that stress is damaging to both health and career. Extensive published research, funded by $24 million in grants from the National Institutes of Health, has shown that the Transcendental Meditation technique reduces stress and stress-related disorders, including hypertension, atherosclerosis, metabolic syndrome, and insomnia. Research has even found a marked reduction in tumors. But health is more than the absence of disease. TM practice also increases energy, stamina, immunity, and well-being, and helps normalize weight. Ascending the corporate ladder or building your own business requires stability, adaptability, mental clarity, and physical and emotional stamina. Add the demands of family and the pressure can seem unbearable – a key reason so many women leave their careers. The key is not to manage stress but to eliminate it while increasing energy, focus and comprehension—all on a daily basis. These benefits begin immediately after TM instruction and continue to grow with daily practice. Women reentering the workplace after maternity leave or a sabbatical can feel like second-class employees. 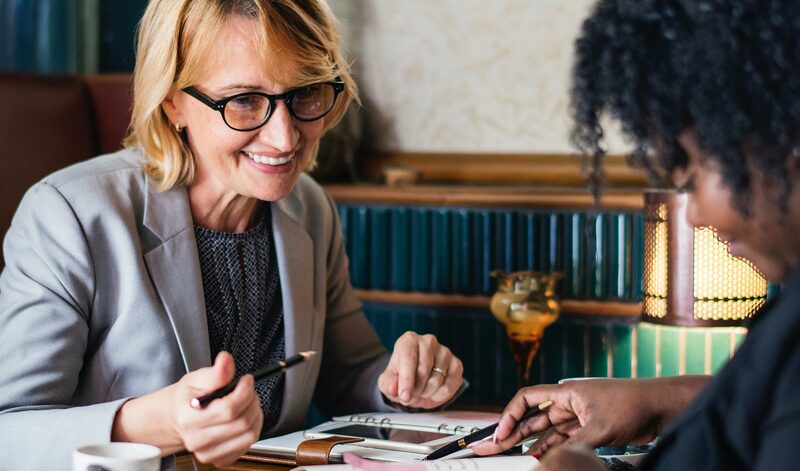 In a study conducted for Pepperdine University, nearly half of Fortune 1000 senior executives reported that women returning to work need two to four years to recoup the losses in salary and position. And 13% think it unlikely that women who off-ramp will ever fully catch up. Transcendental Meditation practice eases the transition back to work by replacing self-doubt with self-confidence, and by enhancing the focus, creativity, conceptual thinking, and faster recovery from stress that are needed to merge at full speed. To cope with the onslaught of daily stresses, women all too often turn to insomnia medication, caffeine, unhealthy diets, alcohol, and cosmetic surgery. This lifestyle takes a toll on the mind and body, accelerating the aging process. Published research shows that just one year of regular practice of the TM technique can be the antidote to stress and its detrimental effects. Even short term practitioners of this meditation have, on average, a biological age five years younger than their chronological age. Five years of TM practice results in a biological age 12.5 years younger than the practitioner’s chronological age. Copyright © 2008-2019 Global Mother Divine Organization. All rights reserved. Please refer to legal details concerning copyright and trademark protection.